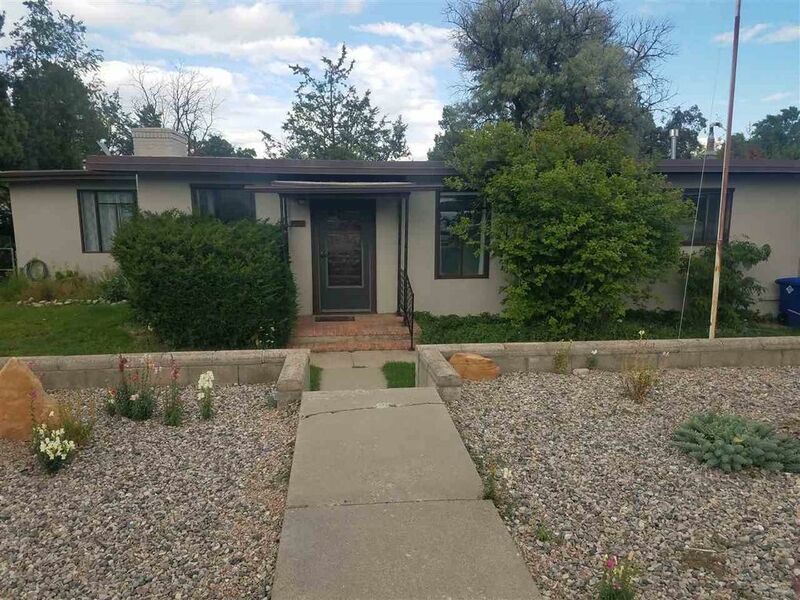 Spacious, updated home in Western Area, minutes from downtown, the hospital, LANL and the High School. This home has been updated and expanded to add a large kitchen and a dining area which has the wood ceiling extended to retain the charm of Western Area homes. A large kitchen was added off the dining area that has tons of cabinets and prep space as well as an island with a gas range. The original kitchen area was converted into a laundry/utility room and has a 1/2 bathroom. There are two large bedrooms plus a large bonus room that could be used as a den or guest room, and has an attached office for a cozy work space. The sizable basement is a bonus area, not included in the square footage (adds around 400sqft), and could be great for an exercise room, media room, play space, or storage area. Outside you'll find a large carport to keep your cars dry. The large backyard has a patio for outdoor entertaining, a storage shed, and the property line extends beyond the fence line. It feels private and comfortable and offers plenty of space for outdoor living or play. The home offers tons of space and is a great opportunity to live in Western Area! Directions: Diamond to Trinity, West on Trinity to left on 42nd. House near end of cul-de-sac on right.